This bed skirt fit my king bed very nice. The colors matched my Christmas duvet perfectly. I can also use this fall through the winter. The fabric is quality and it washes very well. I am very happy with this purchase. 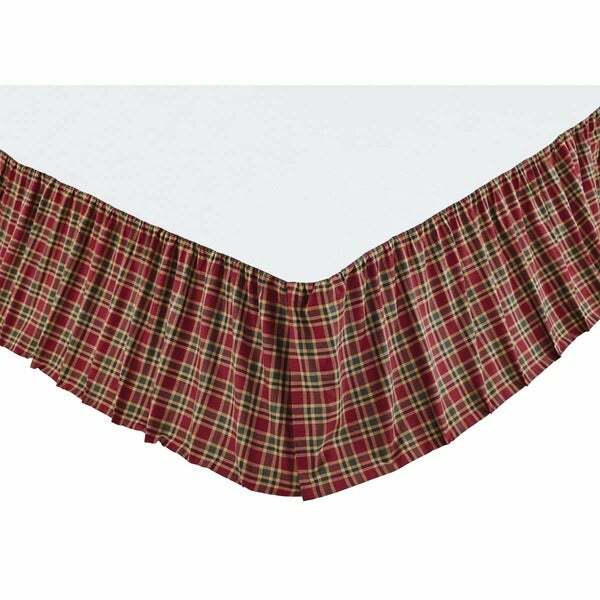 Complete the look of your bed with the Graham Skirt in rustic shades of deep crimson, army green, and biscotti plaid in a 100% cotton gathered ruffle with 16-inch drop. Split corners ensure a great fit on any style bed frame.